COMMENT: London Luton Airport – Where now? Completed (just) in time for the Grand Prix, the Park Hyatt Abu Dhabi Hotel and Villas is the first Hyatt-branded property in the UAE capital. Located on the prestigious natural island of Saadiyat along a more than five-mile stretch of environmentally protected white sand beach it is within minutes of Abu Dhabi’s prime business district and Corniche. The island property has 306 luxuriously appointed rooms, suites and villas, and a first class array of dining. Resort activities include four generously sized swimming pools, a range of water activities, the beautiful Atarmia Spa with nine spacious treatment rooms, outdoor private terraces, fitness facilities, a tennis court and Camp Hyatt children’s club. Park Hyatt Abu Dhabi also offers guests an impressive range of meeting venues for any occasion, from exclusive board meetings to large conferences and social gatherings. Jakarta-based Lion Air announced last week one of the largest ever orders in the history of civil aviation. The airline plans to take 201 of the new 737 MAXs and 29 Next-Generation 737-900ERs worth US$21.7bn. The deal includes the purchase rights for an additional 150 aircraft. Lion Air was established in 2000 and is privately owned by Rusdi Kirana and family. Along with many other Indonesian carriers, Lion Air (including its Wings Air subsidiary) is on the list of air carriers banned in the European Union due to safety concerns as of June 2011. It currently has a fleet of around 70 aircraft which should be all Boeing 737 series by the year's end except for a pair of high density Boeing 747-400s, used on the Jeddah pilgrim routes. The airline has applied for membership of IATA but that will not be pursued until the safety problem is sorted out. Allocated seating may be the way ahead for easyJet and with it a charging system for where you sit on the aircraft. Ryanair already has very limited reserved seating on 22 routes. Currently, easyJet operates an unreserved system whereby passengers simply choose which seats to occupy as they board the aircraft with those having purchased speedy boarding or travelling with young children boarding first and thus having the first choice. On trial flights, all passengers will be allocated a specific seat. 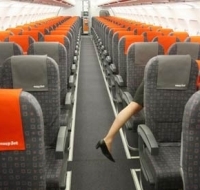 easyJet expects demand for certain seats such as the front row seats and seats with extra leg room like those on the over wing exit rows. Those passengers who wish to guarantee one of these seats – or any other they prefer – will be able to purchase them in advance. Carolyn McCall, easyJet CEO, said: "This is another example of easyJet trying to do all it can to make travel easy and affordable for our passengers. We look forward to seeing how our passengers respond and how the trial works. Following media attention focused on germs and travel, and personal experience with a lack of cleanliness of shared surfaces while travelling, a US company has created an antimicrobial tray table cover for personal use. “With quick turnarounds and budget tightening, I was not surprised to read that on average, many airlines only deep clean their cabin interiors every 30 days,” said frequent flier and company co-founder Jason Drebitko. Drebitko and industrial designer Alexys Wilbur, have teamed up to launch trayGUARD™+, which blends antimicrobial performance with environmental consciousness, to allay germaphobic travellers’ fears. With hopefully strike action finished and operations back to normal Qantas has announced it will extend its A380 network to include Hong Kong from January. Qantas CEO, Alan Joyce, said that Hong Kong was a key market for Qantas and launching new product on the route was important for both the business and leisure market. “Qantas will operate four return services per week between Sydney and Hong Kong from 15 January 2012,” Mr Joyce said. “Our A380 fleet has continued to generate extremely positive feedback from our customers since its introduction, and we are pleased to now add another destination to our A380 network”. Qantas will receive its 11th and 12th A380s later this year, providing the capacity required. It will also mean A380 services between Melbourne and London (via Singapore) will increase from six flights per week to daily, and flights between Melbourne and Los Angeles will up from four flights weekly to daily. Wyndham Hotel Group, which claims to be the world’s largest hotel company based on number of hotels (IHG makes the claim for rooms), has introduced the TRYP brand to Central America, with a 98-room property in the heart of San José, Costa Rica. There are 14 TRYP by Wyndham hotels open and operating in South America. The new hotel is conveniently located just 20 minutes from Juan Santamaria International Airport and 10 minutes from downtown San José. Guests at TRYP San José Sabana can utilize the hotel’s on-site fitness centre, business services, complimentary wired and wireless high-speed internet access throughout its public spaces, a gift shop and free private parking. The hotel offers 500sq m (nearly 5,400sq ft) of flexible meeting and event space that can accommodate up to 280 people. Each meeting room is equipped with the latest in audio-visual technology, including high-speed internet and video projection systems. 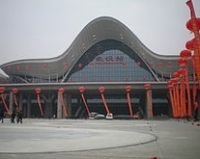 Starting on 11 April 2012, Air France will begin operating scheduled service between Paris-Charles de Gaulle and Wuhan Tianhe International Airport. Air France is the first airline to offer direct flights between Wuhan and Europe. Situated at the crossroads of central China and at equal distance from Beijing, Shanghai and Guangzhou, Wuhan is a transportation hub for air, railway and ferry traffic. It is the fifth Chinese mainland destination to be linked to Paris. Capital of the Hubei, with a population of 9 million inhabitants, Wuhan is a commercial centre for finance, industry (especially automotive), trade and science, with many international companies located there. The city is also an intellectual hub with scientific, technological and educational institutions such as Laser City and the Wuhan University. The new service will be operated three times a with Boeing 777-200ER equipment, which can seat up to 309 passengers: 35 in Business, 24 in Premium Voyageur and 250 in the Voyageur/Economy cabin. Today Boris Johnson unveils his latest thoughts on the London airports dilemma. In fact of the six London scheduled service operations that use the UK capital’s name in their branding only London City is within his jurisdiction. Gatwick, Heathrow, Luton, Southend and Stansted are in practical terms the remit of the Secretary of State for Transport. Boris is right of course to hold a watching brief on all of them. The south east airports are the lifeblood of London, and some would argue the whole country. Heathrow is very much the property of BAA as is Stansted, at least for the time being. Gatwick now has new owners, who have an interest in London City, whilst Southend is by a very large margin the smallest of them all. 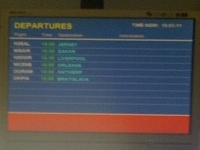 But what of London Luton International Airport? The time is fast approaching when the freeholder will have to make a vital decisions as to its future. Luton Airport is owned by Luton Borough Council (London Luton Airport Ltd – LLAL) who in 1998 entered into a 30-year concession agreement with London Luton Airport Operations Ltd (LOAL) for its management and operation until 2028. There is a one-off opportunity to terminate the current concession agreement with effect from April 2014. London Luton Airport Operations Ltd, which runs the airport, is part of TBI Plc, ultimately owned by Abteris Infraestructuras, a company registered in Spain. LLAL agreement with the concessionaire requires that it gives one year's notice and the final date for any decision would therefore be 31 March 2013. It will come around very quickly. LLAL says any plans to expand the airport would go through all due process, including specific impact assessment and the required consultation with key stakeholders, including neighbouring local authorities. In the meantime LLAL is exploring all options for the airport’s future development. The airport in effect has reached a crossroads. Does the Council say goodbye to the current leaseholder in 2014, and put the airport out to tender, or stay with the present operator? If put on the market (assuming there are people out there interested) would a new tenant make a better job of the operation? Is the bottom line everything. In 2010 (2009) the airport made a operating profit of £20.5m (£19.3m) on a turnover of £102.2m (£98.5m). The Department for Transport has published an indicative forecast of 15m passengers per year by 2050, well down from the 50m suggested in the 2003 White Paper. For both the Council and operator the first objective will be to consider the capacity that can be created within the existing airport boundary. It is estimated this could be around 18m passengers per year. In the meantime the Council welcomed news that it has received provisional Government support for a vital improvements scheme at Junction 10A of the M1. The scheme would see removal of the existing roundabout and widening of the M1 Spur road to three lanes, to provide a continuous east-west carriageway into the airport. Work could begin in early 2013 and completed during 2014. Besides its (mainly low-cost) airline operations, Luton Airport is the country’s leading executive jet operation. That will have to be taken into account for the future. 50 business jets can often be seen parked at one time in the tight executive aviation area. At present Luton is what it is. An airport that feels like a budget airport, very unsophisticated (no air bridges for instance) and a poor road infrastructure in the terminal area, although improvements are promised. The actual departure lounge itself is one of the better, but in spite of (limited) new plastic plants the airside walkways are dreary. The passport and customs area is inadequate, and whether the blame should be allocated to the Home Office or the airport the wait that Brits sometimes have to endure to get back into their own country can be frustrating. It’s easier if you are non-EU (unless your transit coincides with an easyJet or El Al arrival from Tel Aviv). Luton is the jewel in the TBI crown. Belfast and Cardiff suffer for a number of reasons. But have the Spanish owners done enough in 15 years to justify another period of the same length? Luton is booming. It aspires to be a City. Motor production and media are expanding. Even its football team (the only soccer club to win a place in Europe, never to have actually played on the Continent – all because of the 1995 Liverpool Heysall Stadium problems) is getting its act together. Under construction is the Dunstable to Luton Busway which finishes at the airport via Parkway Station. A new £56m Sixth Form College opened last year. Should Abteris Infraestructuras be sent packing? Luton in fact is the best positioned of any of the London airports and has the motorway and rail potential for an integrated transport hub. What it now needs is visionary management with the skill and financial backing to plan for a potentially very prosperous future. Let us hope it is in Mr Johnson’s thoughts. Luton Borough Council needs to come to a decision quickly. Luxury travel operator Abercrombie & Kent has launched a new VIP service called Airport Concierge, which it says is the fastest way for travellers to get from aircraft to city centre. The new facility, which is set to operate in over 200 airports worldwide, includes being met directly from the plane in many cases by an A&K representative and guided through security, customs and immigration. 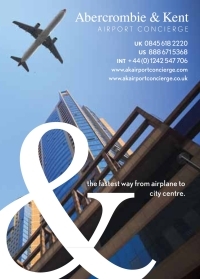 A&K Airport Concierge also includes luggage assistance, transfers in executive vehicles from the airport to the traveller’s city destination and vice versa, city orientation tours to give the traveller a geographical insight to a location, and access to airport lounges even if a Business or First Class ticket is not held. Rather like its long haul aircraft fleet British Airways is now to offer four classes of its award winning Executive Club cards. In comes a new Bronze card, perhaps described as “Premium Economy”, with the already announced Blue card, very much an “Economy” version. Customers earn Tier Points when they fly with British Airways or its oneworld partners in order to progress through the tiers from Blue to Bronze, Silver and ultimately to Gold. The main benefit of the Bronze card is seat selection at seven days before departure and a 25% bonus on the new Avios frequent flyer air mileage scheme. Bronze card holders can also use the Business Class check-in, but with regular travellers (even with hold baggage) more and more using the internet version, the value gets less and less. Bronze card holders travelling in Economy cannot use the British Airways lounges nor do they get priority boarding. 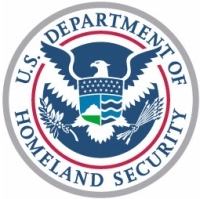 If you were one of the original ESTA (Electronic system for travel authorisation) users by the US Department of Homeland Security your time is running out within the next 30 days. It is not possible to extend or renew a current ESTA. On application if there are more than 30 days left on the old authorization you will receive a warning message during the course of action and be asked if you wish to proceed. Unlike the UK Passport Office you will not be given time credit if you apply early. 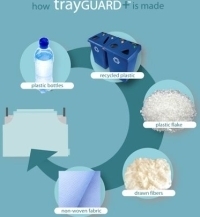 Application is extremely simple and need not take more than a few minutes. However, unlike the original ESTA, there is now a charge, US$14. India’s Kingfisher Airlines, owned and controlled by drinks' mogul Vijay Mallya, has some serious financial problems. Its shares are at a record low and it has been cancelling a whole series of flights. It has said it will cut routes that are unprofitable. From Heathrow the airline operates to Delhi and Mumbai. Founded in 2005, Kingfisher has never made a profit. It has applied for oneworld membership and currently operates a fleet of 27 ATRs, 34 Airbus A320 series and five A330s. Last month staff salaries were delayed. Kingfisher, which has US$1.5bn of debt according to data compiled by Bloomberg, owes the Indian government US$83m in taxes it deducted from its employees’ pay cheques and has defaulted on loan payments, the company’s auditors said in the latest annual report. Officials at UB Group, which controls Kingfisher, said the airline was talking to an Indian investor to raise funds, but declined to give more details. The Indian civil aviation minister ruled out a public bailout for Kingfisher or any other airline, urging private carriers to put their own house in order. Chicago has seen the debut of the very first Radisson Blu to open in the United States. Ultimate owner is the Carlson Group of Minnetonka, Minnesota. 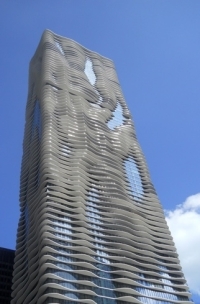 The 334-room property is set within the 89-storey stunning Aqua Tower created by internationally acclaimed architect Jeanne Gang and awarded “Skyscraper of the Year”. Situated near the confluence of Lake Michigan and the Chicago River in the Lahore East Development, the Radisson Blu Aqua Hotel is surrounded by Chicago’s largest tourist attractions, including Millennium Park, Navy Pier and the fabulous shopping of Michigan Avenue’s Magnificent Mile. All rooms offer views of Lake Michigan and the Chicago Skyline and are equipped with complimentary wi-fi access, flat screen TV, iron and ironing board, and deluxe Anne Sémonin bath amenities. Two floors of the hotel are exclusively designed for Business Class guests, and comprise a hospitality lounge with complimentary breakfast and evening cocktails. According to figures issued by the Office of Travel and Tourism Industries (OTTI) the overall US outbound market totalled 60.3m person in 2010, down 2% compared to 2009. Travel to overseas regions declined 6%, while travel to Mexico and Canada was up 3% and 1%, respectively. The top five destination countries in 2010 for US visitors were: Mexico (20m), Canada (11.7m), United Kingdom (2.4m), Dominican Republic (1.8m), France and Italy (both 1.8m). Six of the top 10 destinations visited by US travellers posted increases in 2010. China moved ahead of Japan as the most visited Asian country. SkyTeam has formally accepted the joining of Xiamen Airlines into the alliance. China’s fifth largest airline, Xiamen Airlines has began the joining process leading to full entry into SkyTeam by the end of 2012, further strengthening the alliance in the flourishing southeast China region. Based in Xiamen, a coastal city in East China's Fujian province, Xiamen Airlines operates a network of domestic and regional services throughout China and Asia, predominantly from the hub airports of Xiamen, Fuzhou and Hangzhou. Fujian is one of the more prosperous provinces in China with diverse industries such as clothing, tea production and electronics. Tourism has seen very strong growth and is one of the highlights in the region’s economy. While currently over 90% of the network is domestic, Xiamen Airlines’ goal is to boost its international traffic by expanding the network to serve major long-haul destinations in Australia, Europe and North America, starting in 2014. The integration of Xiamen Airlines into SkyTeam will be fully supported by major shareholder China Southern, the first Chinese airline that joined SkyTeam in 2007. China Airlines and China Eastern are also members. CNN is running a week-long mini-series on the future of transportation starting today on Channel 506. Taking viewers on an eye-opening journey through the world of mobility and its evolution, the series reports on the latest vehicle designs, global trends and innovative technologies. Hosted by Business Travel News Journalist of the Year, CNN’s Ayesha Durgahee, the show reports on advanced technology, technical trends and issues of sustainability. Durgahee will interview key names in the field including Paul Priestman, Director of design group Priestmangoode, on his new concept – a non-stop high-speed rail infrastructure called ‘Moving Platforms’. ‘On The Move’ also talks to the team behind the aerodynamic ethanol-fuel based ‘Edison 2’ car. Plus 83-year-old industrial designer and self-acclaimed ‘3D philosopher’ Luigi Colani, tells how the sea has inspired his futuristic designs. And finally, the show will look forward at the groundbreaking developments we might expect to see in the coming years. 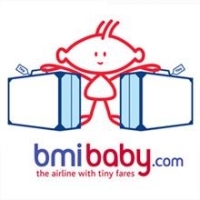 In spite of the Sword of Damocles hovering over the whole operation bmibaby is pressing on with the programme for summer 2012 and, presumably, passengers and the travel trade are buying the product. Announced for next year is a new route from Belfast City to Mahon (Menorca) commencing 15 June on a Monday and Friday basis until 24 September. Flights to Palma and Faro will now operate up to three times a week and flights to Alicante will operate up to four times a week. The low-cost airline will offer a new weekly service from East Midlands (EMA) to Catania (Sicily). It will also increase the number of flights to some of its most popular destinations from EMA to Barcelona, Murcia and Malta during the summer season. A one-time provider of rookie pilots (ab initio) for British Airways, Cabair Flight Training has ceased trading. 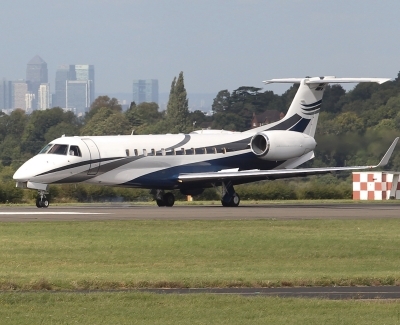 It was the main operator at Elstree Airfield, easily the shortest surfaced runway (651m) within the M25, and just 12.5 miles north of Marble Arch. The company also operated bases in the UK for fixed wing training at Bournemouth, Cranfield and Wycombe airfield. Helicopter training was undertaken at Cranfield, Elstree, Blackbushe, Denham, Rochester and Wellesbourne. At Biggin Hill instructor training was provided. A facility functioned in Spain at Requena and Cabair was associated with a number of similar training organisations around the world. The company was also involved with British Airways in offering full flight Boeing 737 simulators at Cranebank near Heathrow. 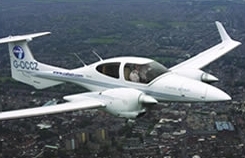 Cabair’s aircraft fleet included the Austrian built Diamond series of composite aircraft as well as the traditional Piper Warriors and various flight procedure trainers and simulators. Hong Kong Airlines has now confirmed that it will introduce an all-Club Class Airbus A330 service between its home base and Gatwick on 8 March, as predicted by AERBT last September. The airline will operate the A330-200 in a unique Club Class seating configuration (Club Premier and Club Classic) out of Gatwick’s newly renovated North Terminal. Whilst it would have been difficult for Hong Kong Airlines to get into Heathrow (but possible) the capture of the established carrier is important for the airport and comes after last week’s announcement of Air China’s arrival and the start of Vietnam Airlines services on 9 December. Another new arrival is Air Asia X which will go up to four times per week from 14 December. InterContinental Hotels Group (IHG) has announced the opening of the new Holiday Inn Express Downtown West, which recently underwent a conversion from a Ramada Ltd hotel. The hotel’s extensive US$1.25m renovation includes upgrades to the exterior and its 80 guest rooms and 15 Jacuzzi suites. Located at 611 S Westlake Ave and situated close to Hollywood and Beverly Hills, the new Holiday Inn Express Downtown West Los Angeles is close to several entertainment venues, including the Nokia Center LA Live, Staples Center and the Walt Disney Concert Hall. Guests can be at the beach or in the mountains within a half hour’s drive from the hotel. For business travellers, the hotel is located near offices of Kaiser Permanente, Northrop Grumman, Boeing and Bank of America. It is also near the University of Southern California and the offices of the Metropolitan Transportation Authority. After 15 years as Chief Executive of London City Airport (LCY) Richard Gooding OBE is to step down and will join the Board as a Non-Executive Director. Before his arrival at LCY he held a similar position at Luton. New Chief Executive of LCY will be Declan Collier, currently CEO of the Dublin Airport Authority (DAA). The appointments will be effective from early in 2012. “We are delighted to have secured as our new CEO somebody of Declan Collier’s calibre and experience,” said Roy Griffins, Chairman of LCY. 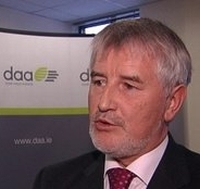 “Declan has led DAA through a transformational period in terms of its infrastructure and business culture. He is a respected voice within the aviation industry through his involvement with Airports Council International (ACI), where he is currently President, ACI Europe. El Al Israel Airlines has become the first airline to commit itself to the novel WheelTug electric aircraft ground propulsion system. The units will be installed on the airline’s Boeing 737 New Generation series aircraft. 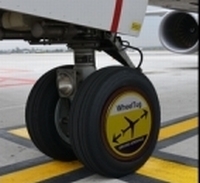 At a time when fuel prices are at record levels the WheelTug electric drive system uses high-performance electric motors, installed in the nose gear wheels of an aircraft, to provide full mobility while on the ground, without the use of the aircraft's jet engines or tugs for both pushback and taxi operations. WheelTug enables aircraft to be electrically driven from the terminal gate to the takeoff runway, and upon landing from runway exit to the gate. The resulting improvements in efficiency, flexibility, fuel savings, and reduced engine foreign object damage (FOD) reduces operating expenses per aircraft per year, plus substantial reductions in CO2 and other greenhouse gas emissions.